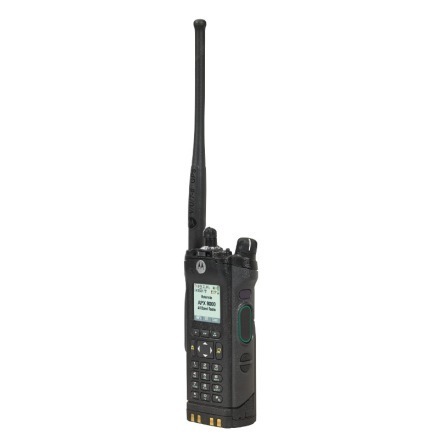 APX™ 8000 - ConnecTel, Inc.
Take command with a 4-in-1 radio that offers limitless interoperability, the clearest, loudest audio and seamless Wi-Fi connectivity. 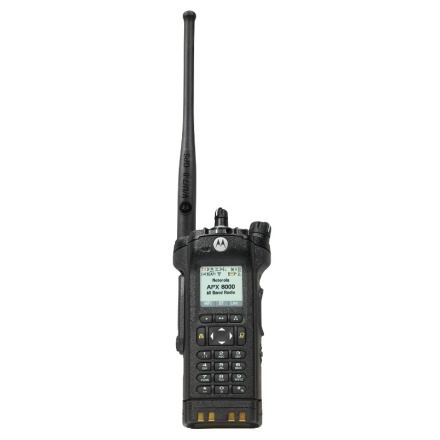 The compact, rugged and secure APX 8000 redefines mission critical communications. Whether it’s loud or windy, whether you whisper or yell, the APX 8000 adaptive audio engine and ultra loud speaker brings clarity into every conversation. The radio dynamically changes the level of noise suppression, microphone gain, windporting and speaker equalization on-the-fly to consistently produce the loudest, clearest audio in any environment. Intuitively designed with a familiar look and feel, the compact APX 8000 is always comfortable to use, from your holster to your grip. It contains 4 radio bands packaged into the award-winning design of the APX 6000. The all-band antenna is flexible so it doesn’t get in the way. With a water-tight seal, drop-resistant dual battery latch, pressure-tested tempered glass display and a shock-absorbing aluminum alloy endoskeleton, the APX 8000 is ready for unpredictable environments. It can survive 2 meter water submersion for 2 hours, MIL-STD 810 C, D, E, F, G procedures, and Motorola’s renowned Accelerated Life Test. The APX 8000’s voice and data is secured by multiple hardware encryption algorithms (AES, DES, ADP), up to 128 keys, and the ability to re-key over the air so that sensitive information stays protected from scanners and eavesdroppers. P25 Radio Authentication ensures only valid users can access the system while two-factor authentication allows users to securely log in to databases.